I am aghast at Sarah Iannarone's pseudo-intellectual, jargon-filled policy statements ["An Outside Shot," WW, May 11, 2016]. She has said things that are absolutely incoherent. Furthermore, she seems to lack a basic grasp of civics and the job of mayor. Half-baked woo-woo is her brand. I'm voting for Sarah. I'm not convinced she'll be the best mayor, but I am convinced that her voice and ideas should be heard in a runoff through November. Even if Ted Wheeler wins, we'll be better off with the two of them campaigning together. So Iannarone moved to Portland after she "heard the buses were free." I wonder how many occupants in the city's vagrant camps were also drawn here by reports of free stuff in progressive Portland. 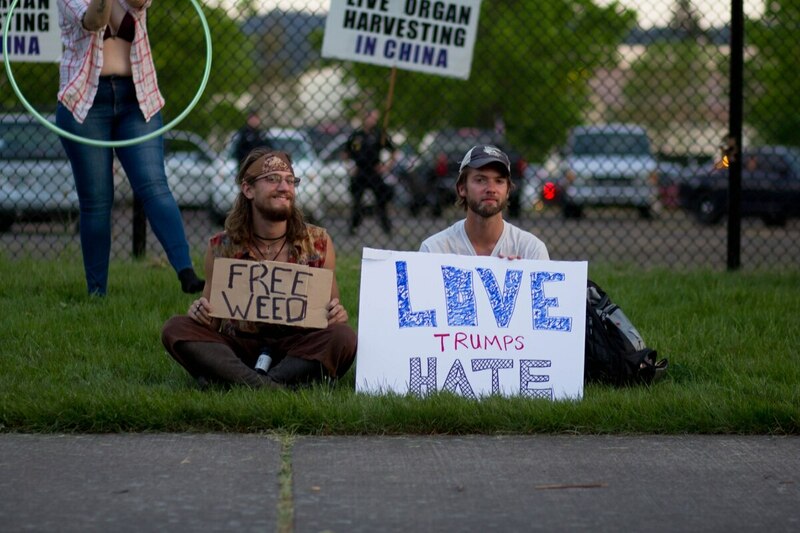 Portland is run by one political party. Does it really matter who is elected mayor? You have to love WW for drawing a false equivalence between people standing up to a racist demagogue and that racist demagogue's followers ["Trump in Town," WW, May 11, 2016]. They're both "yelling," WW says, all the while ignoring that one group is threatening the lives and freedom of the other group. That's not journalism. That's not fair play. That's supporting Trump's agenda, period. How are Trump and his supporters racist? Because they want people to be judged on their character and not the color of their skin? This has been blown way out of proportion [Starters: "Pizza Pies vs. Black Lives," WW, May 11, 2016]. It is about a mural that is only half there and needs a face-lift. There are two other small businesses in the building that have limited signage space, and if anything, the owner is trying to support his fellow small, local businesses by incorporating the names and logos into a new artistic mural. They are going after Michael Brown's very memory and image. This is why the Black Lives Matter movement is so important. Portland Mounted Patrol officers told me, when we first met in 2012, that working with horses made them kinder. So I began extensive research. Here's what I found out: Evidence-based university studies confirm that just being around horses increases oxytocin levels in humans while lowering stress hormones. This means the Mounted Patrol Unit should become the Portland Police Bureau's top priority—and the mayor's. By creating opportunities for city people to more frequently encounter horses, we will be reducing crime. Submit to: 2220 NW Quimby St., Portland, OR 97210.